Aside from the gathering period, sorting the bottle caps took the builders a lot of time. It also took a few tries of arranging the bottle caps until they were satisfied with the look. This DIY project is indeed time consuming from start to finish. But the result shows that it was definitely worth the wait! What do you think? 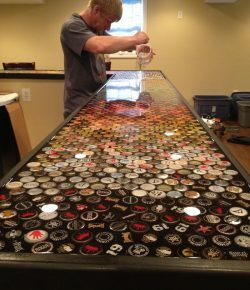 Do you want to build your own awesome bottle cap bar top? 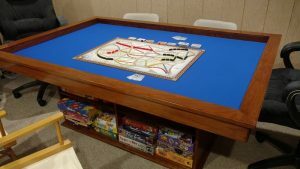 You can get step-by-step instructions from thepassionofthechris over at Imgur! Previous PostBuild your own hot tub! Learn how to build your own concrete garden bench!